Gift Set comes with Bluebell Seven Seater, 3 figures and over 50 accessories. Beechwood Hall & Cosy Cottage Gift Set comes with everything you need to play with Sylvanian Families! It includes the lovely Cosy Cottage Starter Home and Beechwood Hall, its residents Freya the Chocolate Rabbit Girl, Teri the Chocolate Rabbit mother, Frasier the Chocolate Rabbit father, along with over 50 pieces of accessories, including kitchen utensils, bed, and furniture sets for Freya’s room. 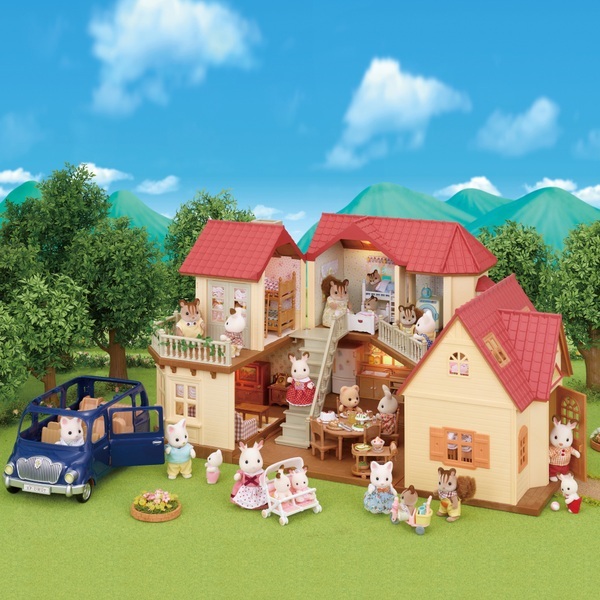 It even includes a Bluebell Seven Seater, so that family can go on a drive around Sylvanian village!